Fall is my favorite season! The leaves changing and crunching under your feet, the smell of apples and cinnamon, sweater weather, and fun fall activities! These are just a few of my favorite fall things. Pumpkin Chocolate Chip Cookies. The yummiest of all fall treats! I found this recipe on Pinterest and they are the moistest, tastiest pumpkin chocolate chip cookies I’ve ever had! You’ve Got Mail. There’s just something about Tom Hanks and Meg Ryan together that put me in the fall mood. This classic film is one of my favorite movies and I love watching it snuggled up with a mug of hot chocolate. Salted Caramel Hot Chocolate. 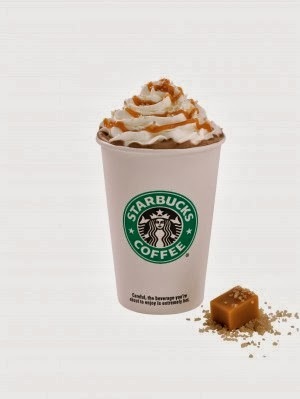 Speaking of hot chocolate, Starbucks Salted Caramel Hot Chocolate is scrumptious! It is my number one order during fall. Painting Pumpkins. There are a lot of fall activities I enjoy but painting pumpkins is so fun for date night! Most places have mini pumpkins that are the cutest and easiest to paint. Here are some my hubby and I painted the other night! Jon Foreman’s EP Fall. When I need music to put me in the fall mood, Jon Foreman’s Fall EP is what I turn on. I’ve always loved Switchfoot and when Jon Foreman came out with his seasonal EP’s, I could not contain my excitement! Although a few years old, it still make me feel all fall-y inside.